What have been the costs to children and young people of the war on drugs? Is the protection of children from drugs a solid justification for current policies? What kinds of public fears and preconceptions exist in relation to drugs and the drug trade? 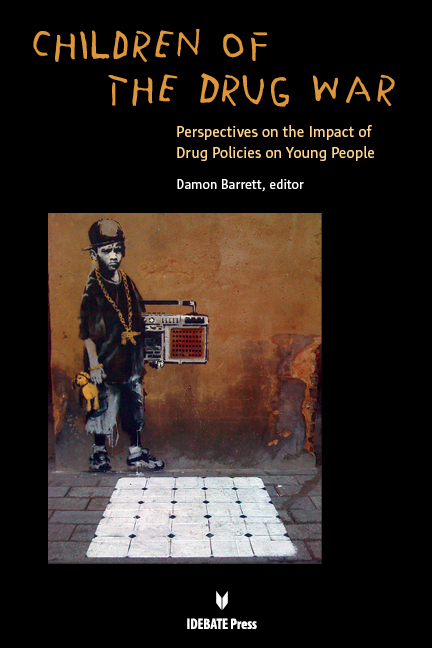 How can children and young people be placed at the forefront of drug policies? The book is published by the International Debate Education Association (iDebate Press). It is available for purchase in hard copy from amazon.com, amazon.co.uk and other outlets. A pdf of the full book and pdfs of each of its four sections are available for free download. It may also be read online.